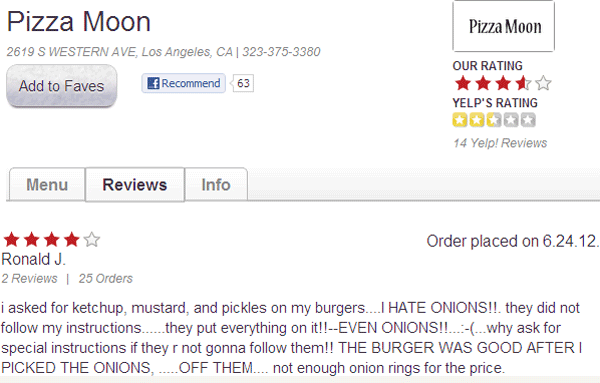 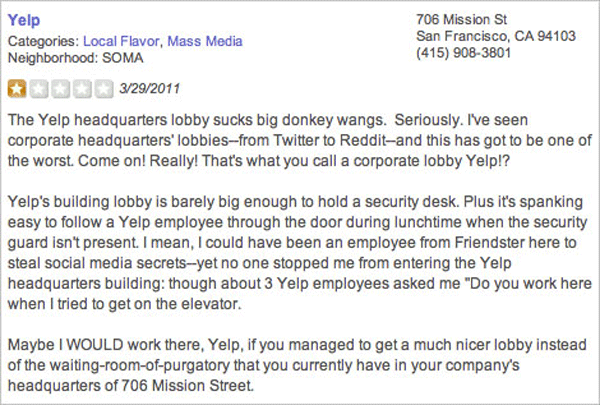 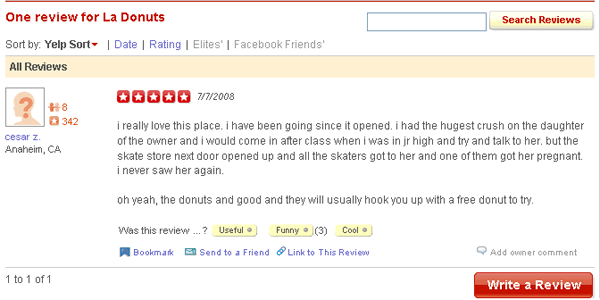 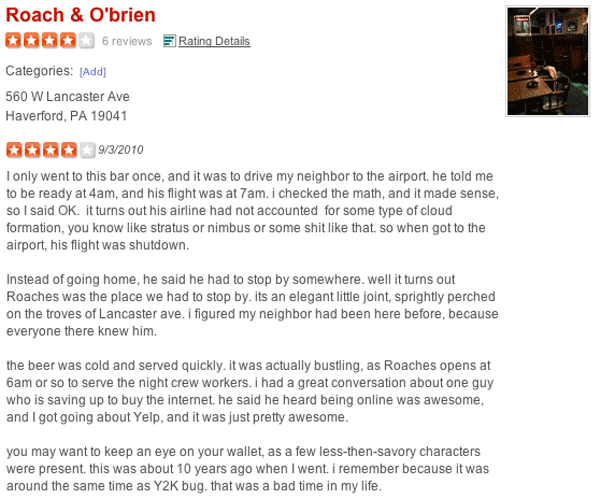 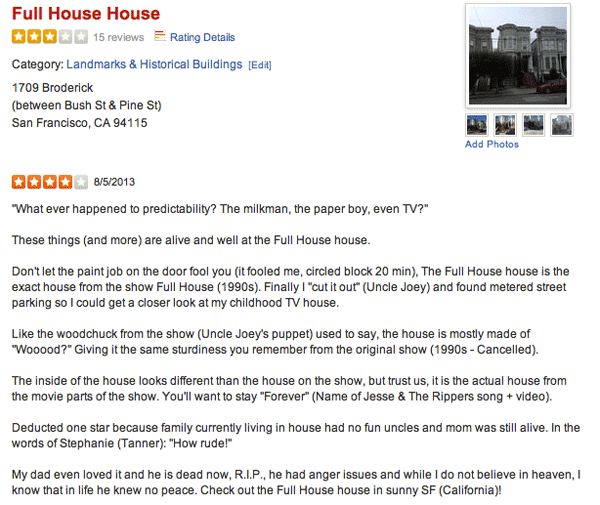 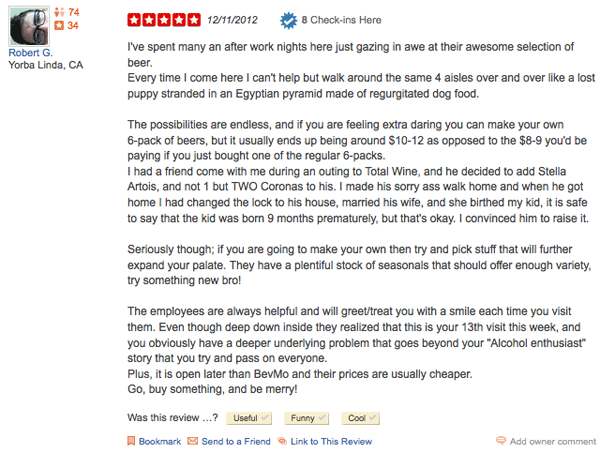 Yelp has been the helpful but polarizing standard for reviewing businesses on the internet for quite some time now. 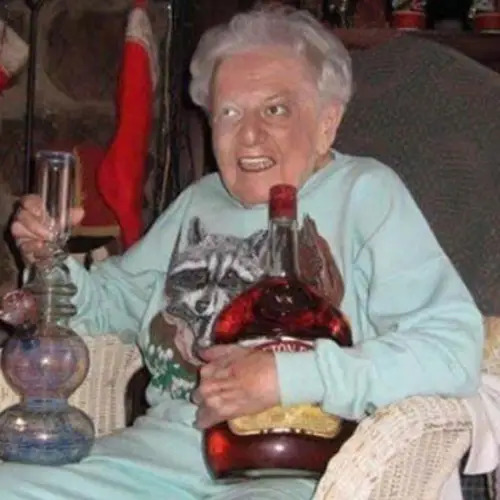 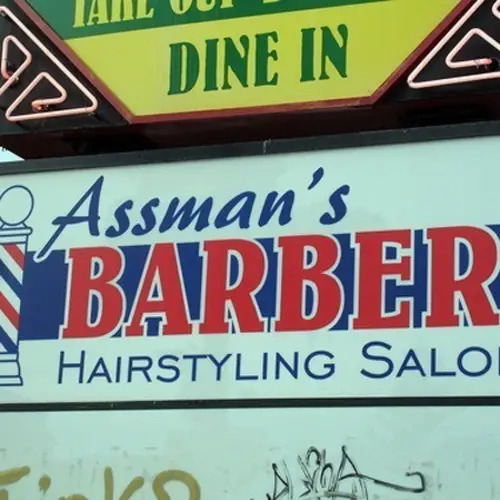 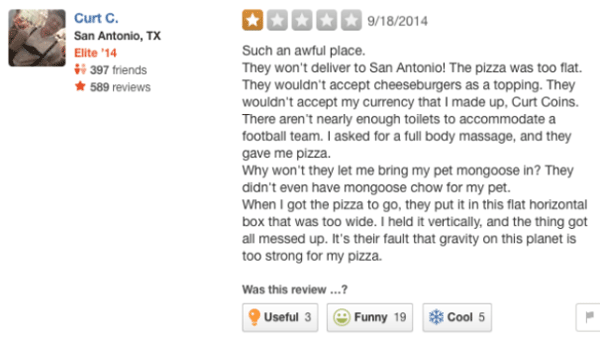 Whether you look at Yelp as a useful tool in deciding where your next delivery order is coming from, or an evil website for vindictive people to get revenge, these 30 hilarious and somewhat bizarre Yelp reviews will satisfy your need for a good laugh. 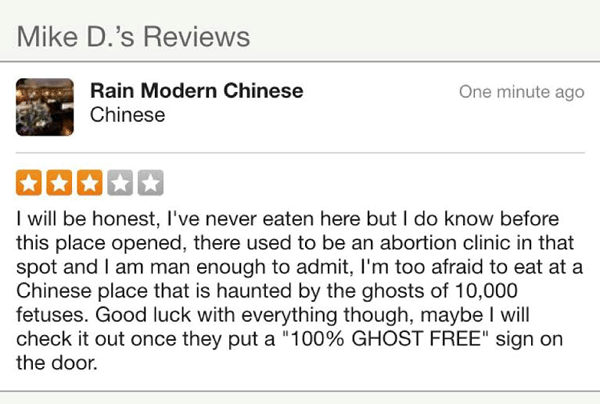 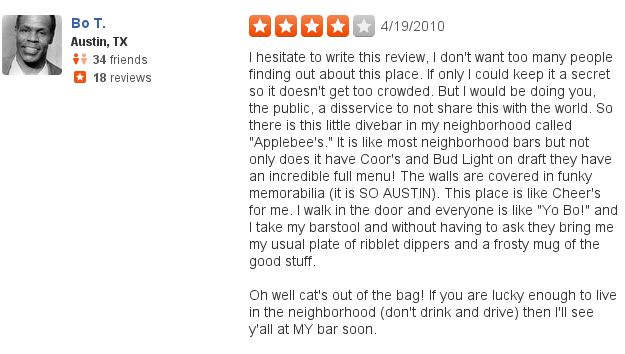 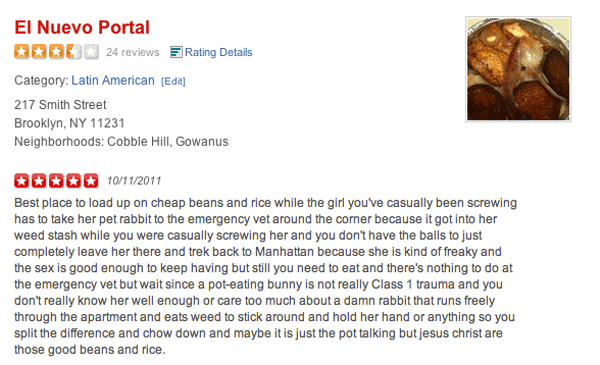 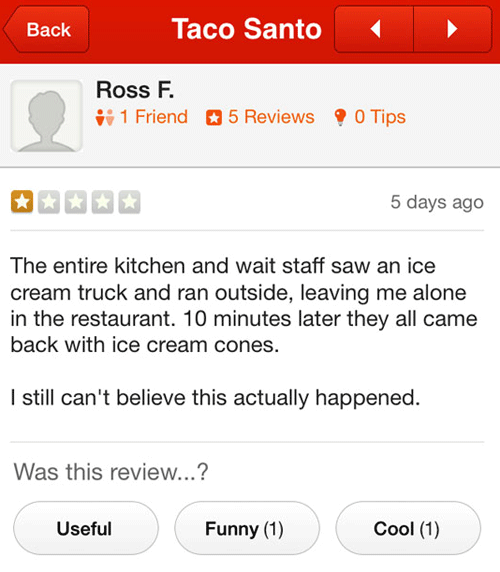 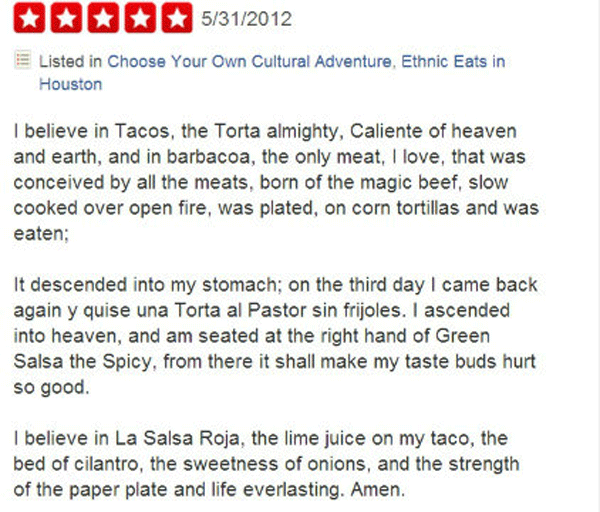 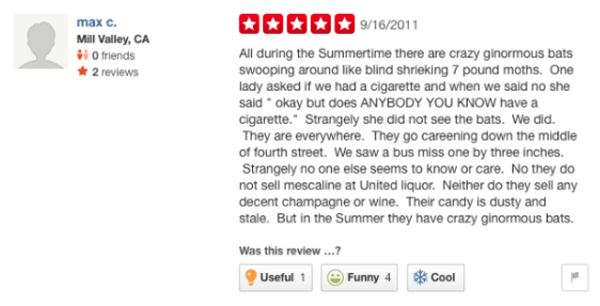 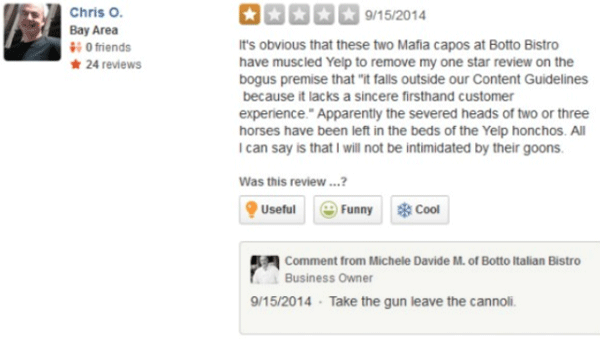 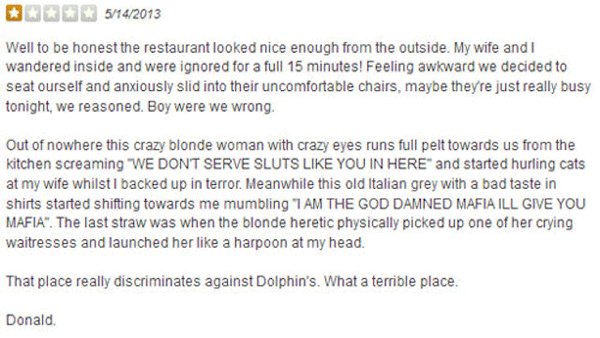 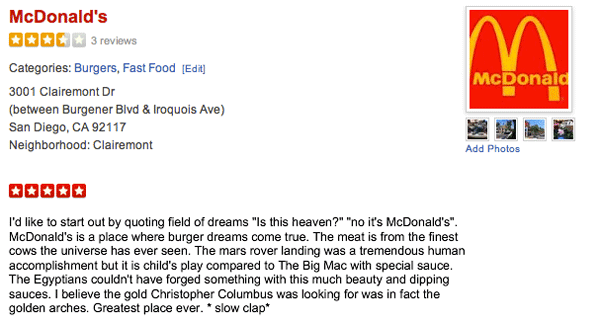 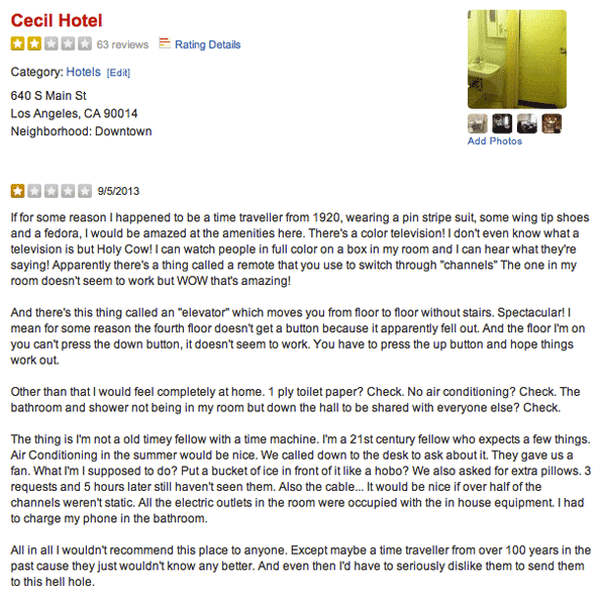 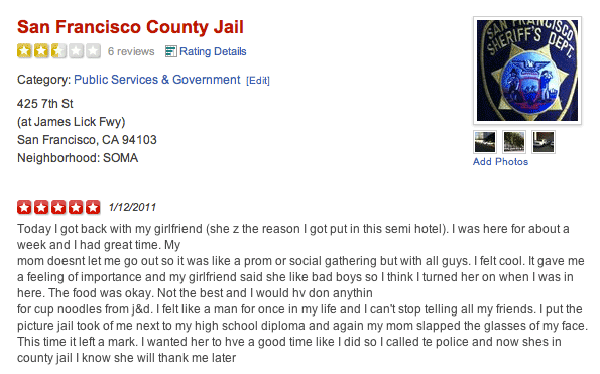 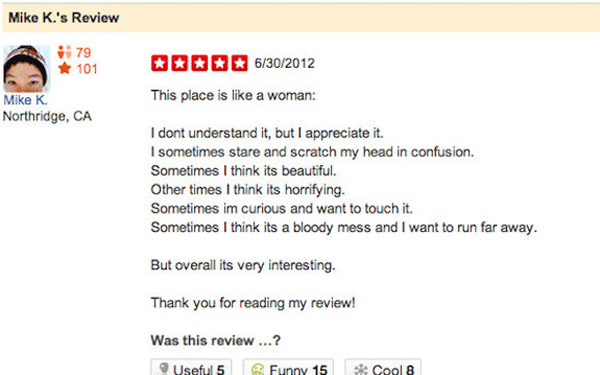 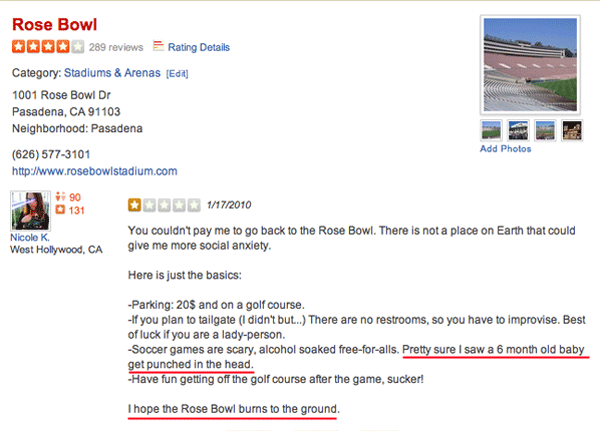 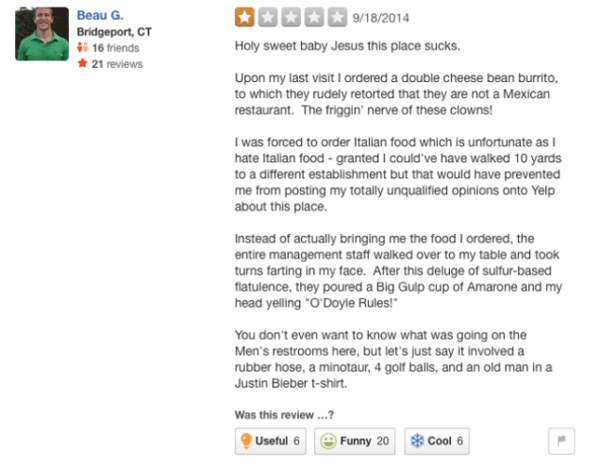 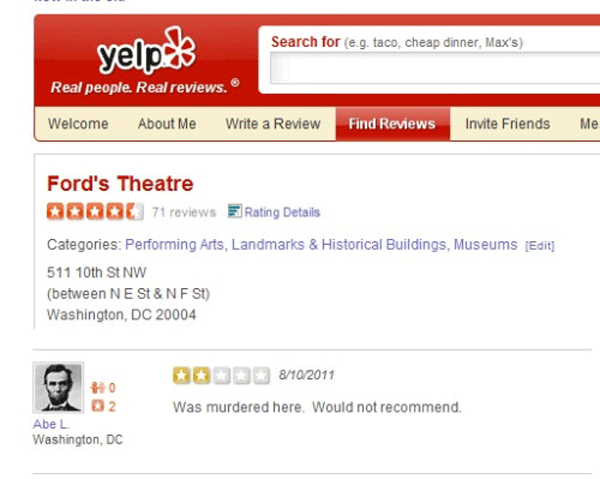 Enjoy these funny Yelp reviews? 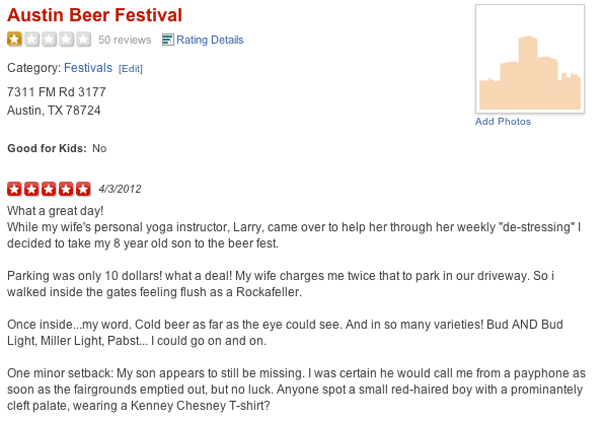 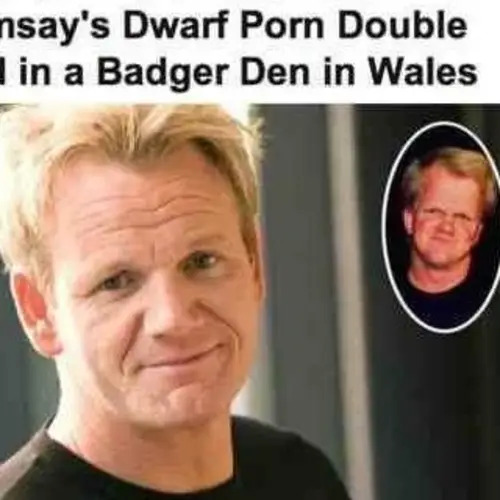 Check out our other posts on the funniest newspaper headlines and hilariously awful Amazon reviews!